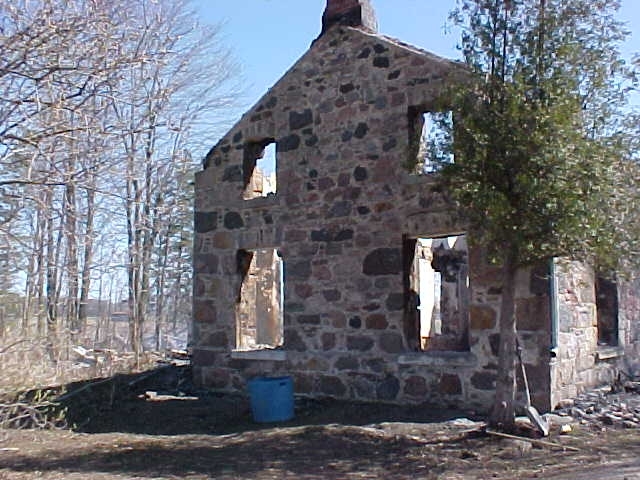 Well, to our dismay, we researched the property located at lot 14 concession 7 on 43rd Line in West Zorra Township, believing it was the horrifying Timothy Topping site from 1873. But now with the help of a friend from Sweaburg, I have located that Timothy Topping never resided here at all, and the story for this property is yet to be discovered. I have been researching the directories at the library, which unfortunatley only cover certain years and stop at 1915. 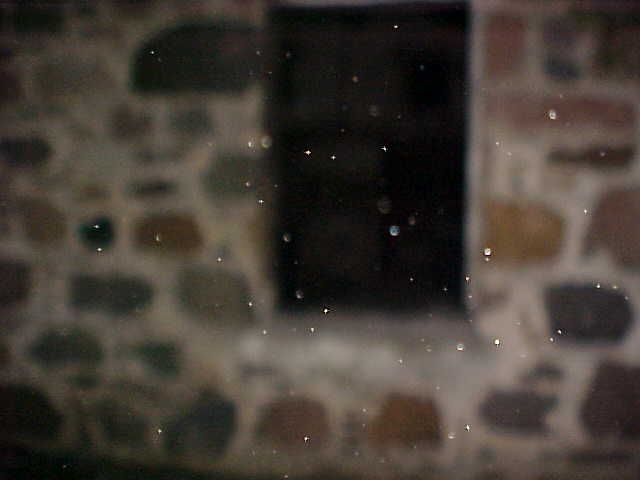 But the property we have photos on surely has a story, probably just as simple as family members passing in the home, and since the home has now been completely removed since the fire on April, 24, 2003, we will be discontinuing any further regards to paranormal at the Critters Lane house. 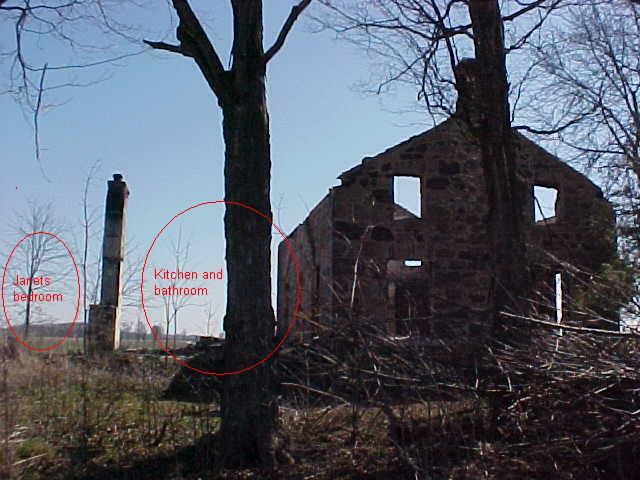 I am however in the works of locating the true property of the murder, I believe I have found it, just awaiting to hear from the current owners of lot 8 concession 6 of West Oxford, to see if there are any remnants of a home and so on. Will be posting my findings as soon as I come across them, and at that time, i will reincorporate my research on the property with the proper location. I apologize for any inconvenience, and will be hopefully writing a story to be printed in the Sentinel Review, as they had believed the property known as The Critters Lane House to be the Topping Murder House as well. This was the photo I took after I thought I had heard a womans voice say softly, "we're fine". As you can see, I have kinda shown you where the rooms once were, to the left is where the addition to the house that was put on about 50 years ago, Janet Cureton's bedroom, once was, and the empty middle is where the kitchen and bathroom were. Inside the brick wall, on main level was the Living Room and another room, and upstairs were the 3 bedrooms. This is all that now stands from a piece of our beautiful history at this property.